The two friends are philosophically in sync in their pursuit of music for the Secret Stash label. They seek uncommon and often never released musical gems. 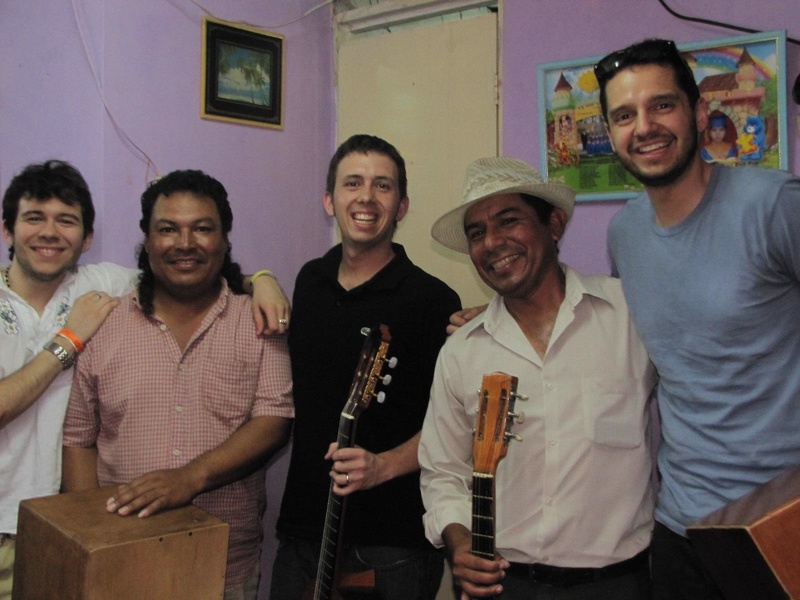 In 2010, inspired by Cory’s mentor, Peruvian guitarist, Andres Prado, they traveled to Lima, Peru, in search of high-quality musical compositions and “to share Afro-Peruvian music with audiences who’ve never heard of Afro-Peruvian anything,” Cory explained. A picture after one of our recording sessions…. 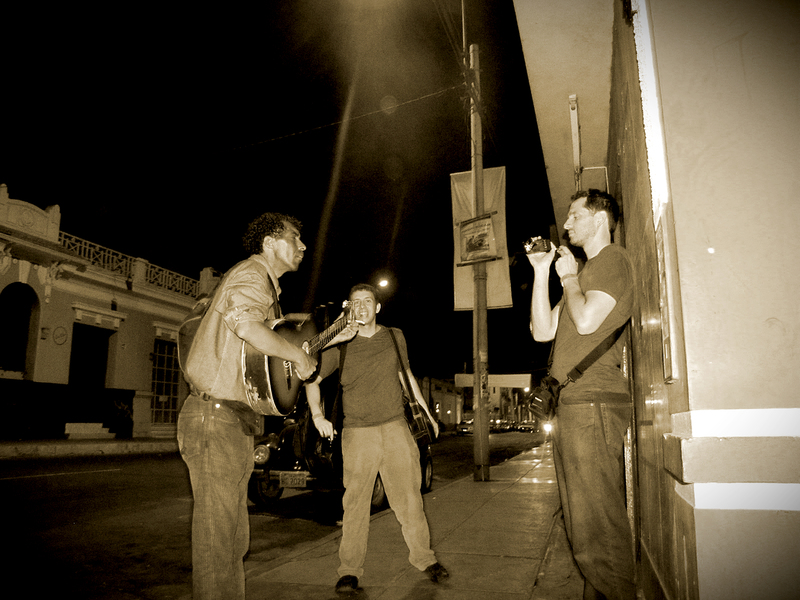 Cory describes Afro-Peruvian music as consisting of the cajón and the nylon string guitar. Next, he says, add the cajita, the quijada and Afro-Peruvian vocals which frequently and graphically depict Peruvian enslavement, emitting enticing sounds, conjuring visuals and synthesizing the unique musical combinations that are both awe-inspiring and distinctive. Manuel Vasquez. Photo: Eric Voss. As an outcome of the album Peña, Cory and Eric produced several other musical projects, including The Rhythms of Black Peru, “a collection of some of the most important Afro-Peruvian recordings of all time.” Eric described The Rhythms of Black Peru as “a good representation of the different styles of Afro-Peruvian music and rhythms which are: the festejo, lando and panalivio.” For Cory, these rhythms are unmistakably Afro-Peruvian. Tracks by Afro-Peruvian singers Eva Ayllon, Lucila Campos and the late Nicomedes Santa Cruz, considered the greatest proponent of Afro-Peruvian culture, contributed to five of The Rhythms of Black Peru’s dozen recordings. 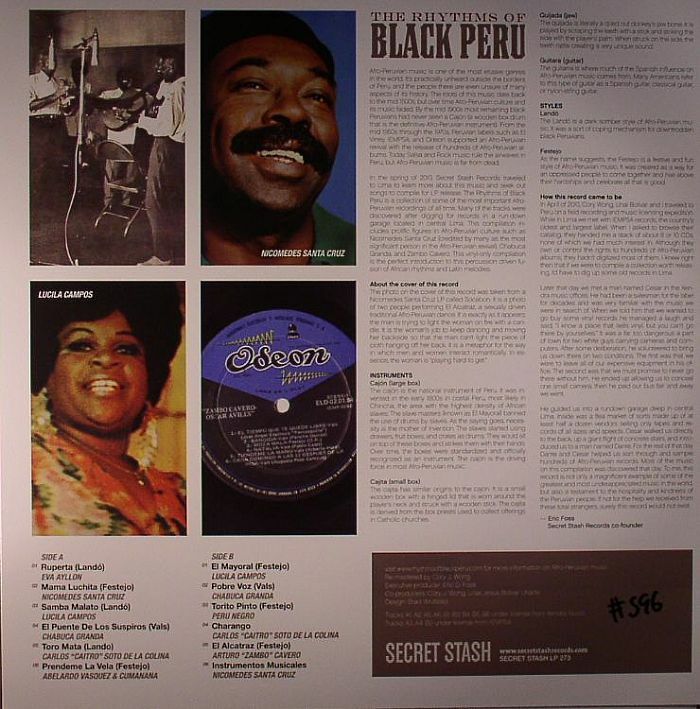 The Rhythms of Black Peru album info and photos. Individually, The Rhythms of Black Peru, represent multiple decades of Afro-Peruvian musical recordings. With a few technical tweaks, this compilation of previously recorded songs, sounds as if it were recorded contemporaneously. Listeners will delight in the breadth and depth of Afro-Peruvian musical genres. Whether through music or dance, Peru’s African roots are undeniably rich and strong. Through their unconventional approaches, Cory and Eric are helping to uncover and promote one of Peru’s most glorious cultural treasures – Afro-Peruvian music.